There is just something about the fall season that puts a little more magic in the air. Maybe it is the cooling temperatures, the leaves changing, nearing the start of holiday season, picking the perfect pumpkin, or a combination of things. Whatever it is, if you plan on joining us this fall, we want to give you the inside scoop on how to plan the perfect day. Wear the right shoes. This has been quite the year of rain, hasn’t it? While you’re traipsing around our pumpkin patch in search of the perfect jack-o-lantern, we recommend wearing rain boots or an old pair of sneakers. 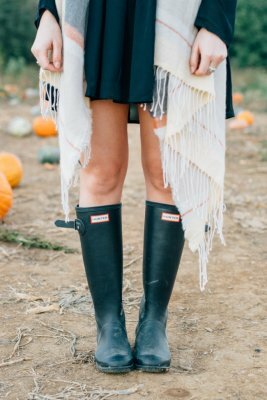 We promise you will still look chic in your fall attire while staying clear of mud. Flip the day. 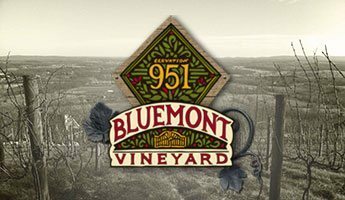 Our sister properties across the street, Bluemont Vineyard and Dirt Farm Brewing, tend to be busy on beautiful fall days. If you’re planning on enjoying our Fall Pumpkin Harvest Festival activities, and visiting one of our sister properties, consider heading to them first. 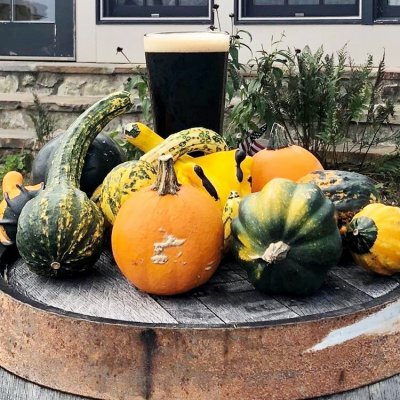 Grab a glass or pint and a bite to eat and enjoy the views, then come down the mountain and pick your pumpkin on your way out of town. Most families with little ones leave the farm early for afternoon naps, so the crowd tends to die down later in the day. Weekday date. Want to skip the crowds completely? We still have wagon rides, pumpkin picking, our Roosteraunt concessions and pig races during the week! Capture the moment. Did you really pick a pumpkin at a fall festival if you didn’t Instagram it? Smartphones make it so easy to capture life’s sweetest moments. 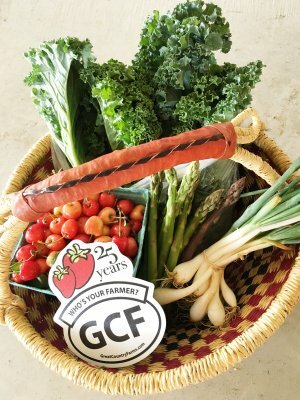 When you share, be sure to tag us @greatcountryfarms and use #greatcountryfarms! Give your pumpkin a proper send-off. After the fall season is over, what are you going to do with your pumpkin? It is likely past its prime but throwing it in the trash just feels wrong. Join us for our Pumpkin Chunkin’ November 3 through 6 to smash your pumpkin in all kinds of fun ways. 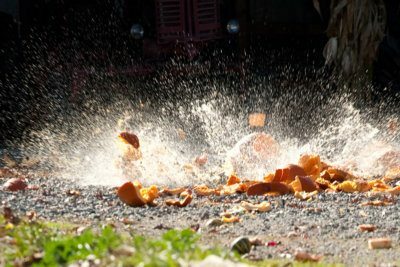 We feed the smashed pumpkins to our pigs for an extra special treat!